PHOTO BY REV. JOHN QUINN, S.J. Following its first four wins, the Loyola varsity football team faced off against Serra last Friday at Loyola High School in their first Mission League contest. The Cubs lost the battle with a score of 35-17, making their record 4-1 overall and 0-1 in the Mission League. 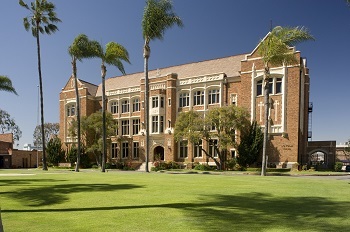 Loyola entered the Mission League ranked second, trailing only Bishop Alemany High School. In addition to Serra, Loyola will host league rival Chaminade Eagles on Oct. 2 and the Bishop Amat Lancers on Nov. 6. Due to the success of last year’s home game against St. Augustine High School, this year, Loyola will host all visiting teams on campus for the first time in 66 years. Loyola began its Mission League schedule ranked as the No. 12 football team in California, according to MaxPreps. 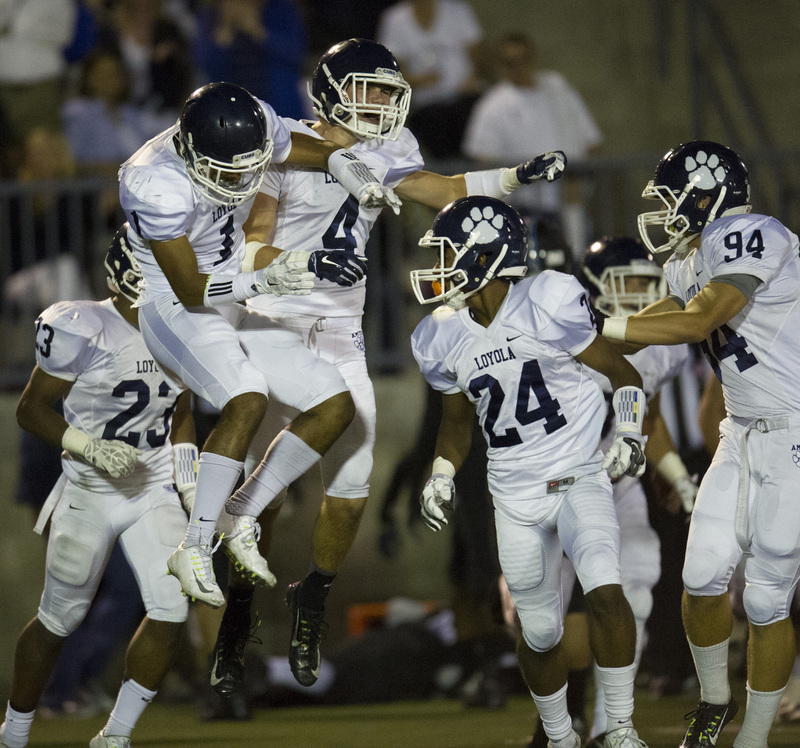 Following the loss to Serra, Loyola has moved down six spots to No. 18. The Cubs hope to have a turnaround season after ending last season with a 4-6 record (0-6 in the Mission League). 4-Star senior cornerback David Long Jr. Long Jr. is rated the No. 70 football recruit for the class of 2016, according to 24/7 Sports. Utilized as a wide receiver and a cornerback, David Long Jr., a 3-year veteran for Loyola, plays a vital role on the Loyola football team. He is also getting a lot of publicity in response to the verbal commitment he made to Stanford University before the beginning of the school year. People are coming to see what the seventh-ranked cornerback in the nation can do this season against Mission League receivers and defensive backs. Long Jr. doesn’t dwell on the attention surrounding him, but instead, he cares about the success of this year’s team. Long Jr. is ready for this season. “I expect this team to win every game this year.” As a 3-year veteran, Long Jr. believes that the seniors have grown as leaders and teammates. With two of the four home games at Loyola already played this season (one win, one loss), the Cubs hope to get all the support they can at Smith Field. This year’s team is motivated to be “One Team with One Mission” and to win the Mission League.